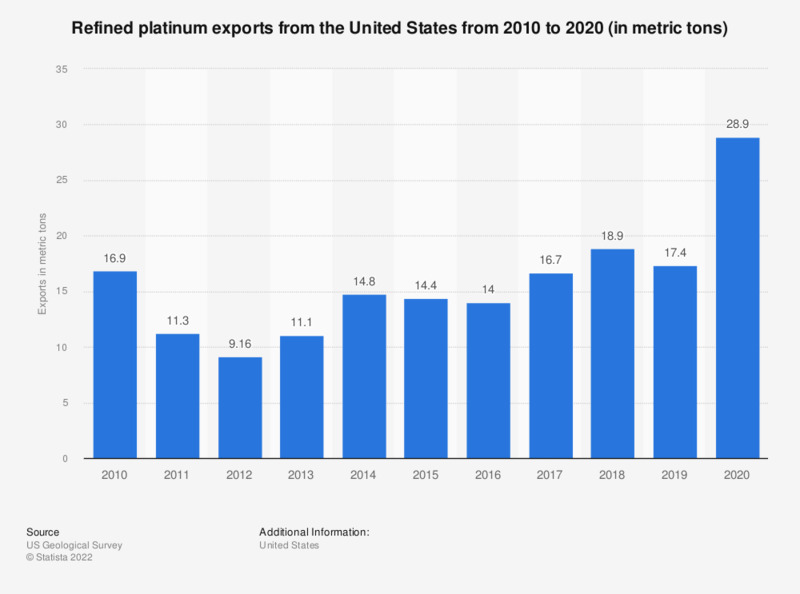 This statistic outlines the United States' exports of refined platinum from 2008 to 2016, in metric tons. In 2016, the U.S. exported some 14 metric tons of refined platinum. Platinum is a noble metal and is also considered a precious metal. Everything On "Platinum" in One Document: Edited and Divided into Handy Chapters. Including Detailed References.